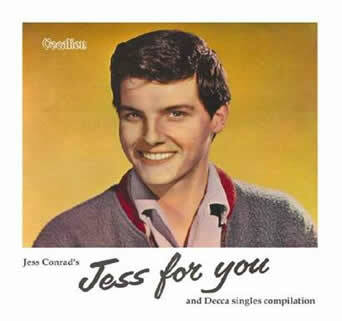 "During my Decca days I recorded with some of the top musical directors including Ian Fraser, Syd Dale, Gordon Franks, Charles Blackwell, Johnny Keating, Jack Martin, Ivor Raymonde and Arthur Greenslade. 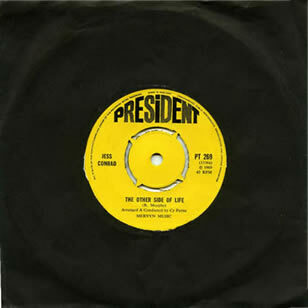 I recorded songs by Gene Pitney, Doc Pomus and Mort Shuman, Trevor Peacock, Les Vandyke. 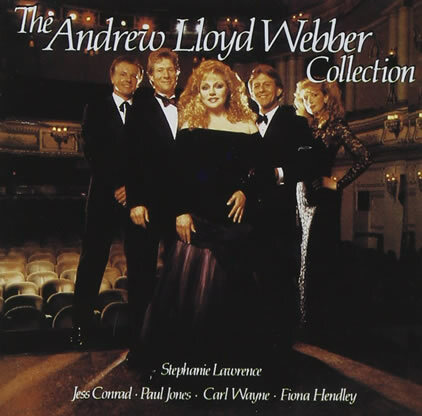 Johnny Gentle, Gordon Mills, Gerry Goffin and Carole King to name but a few. 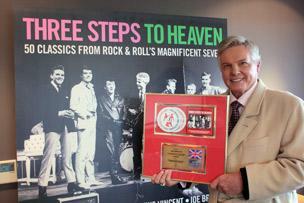 I was first produced by legendary TV and records producer Jack Good." 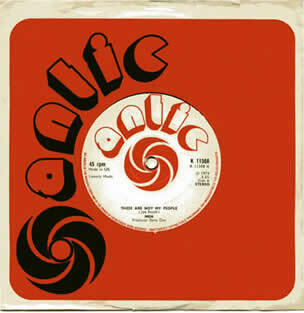 (Recorded under the name 'MEN' this was with Troy Dante, also Dave Dee (of Dozy,Beaky,Mick and Tich fame) with Dave Dee producing,Junior Campbell of Marmalade plays guitar and backing vocals) The label was a subsidiary of Warner Brothers Records in the UK. 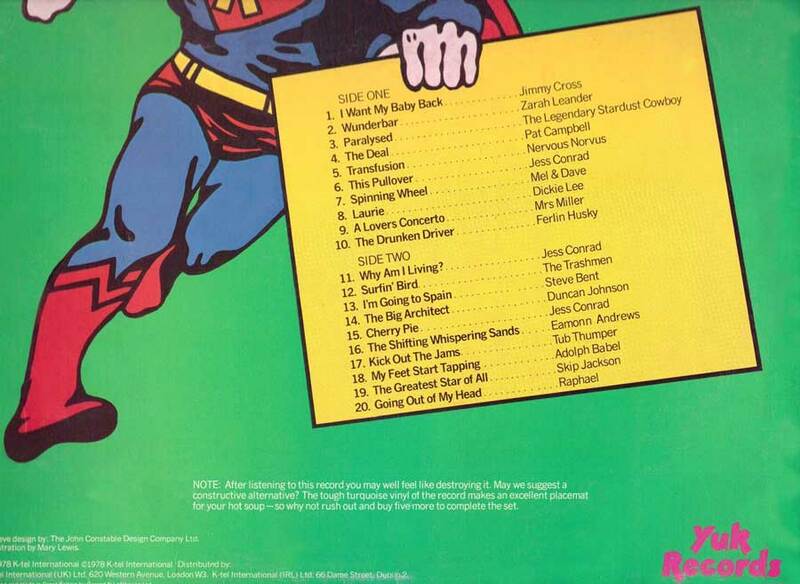 Click the cover to read track list more easily. 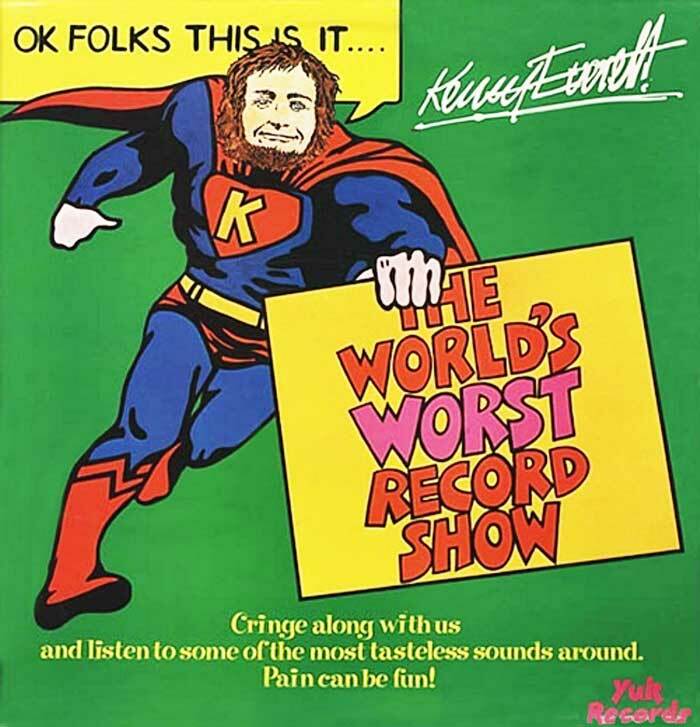 Kenny Everett's 'World's Worst Records Show' (NE1023) 1979 (Green Vinyl Pressing) Features Jess's re-recordings of "Cherry Pie", "This Pullover" and "Why Am I Living". (Plus other artists.) 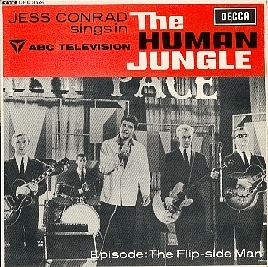 Note the tracks by Jess were recut for this issue. 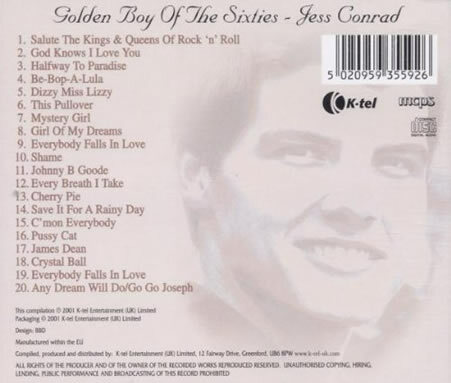 This CD is the most interesting of Jess's more recent recorded work (2001) It features one new song "Salute The Kings & Queens of Rock 'n' Roll" some re-recordings of some of his sixties Decca cuts, plus previously unreleased recordings from the 1980's and 90's, from rock 'n' roll to MOR. 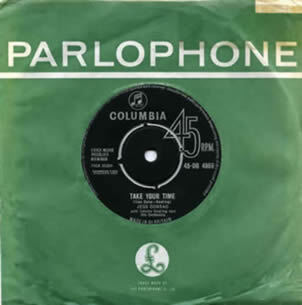 20 Tracks in all. 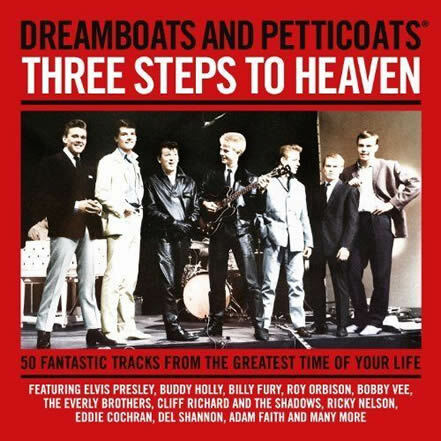 Jess is also featured on numerous CD compilations, too many to list, however, one CD compilation worthy of note is the top selling “Three Steps To Heaven” part of the Dreamboats And Petticoats series (Universal Music Label) for which Jess was awarded a gold disc for sales of over 100,000 copies in 2012. 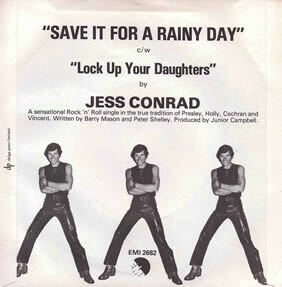 One other 'Collectable' record by Jess is his 1978 'Private Pressing' on the SRT Label. 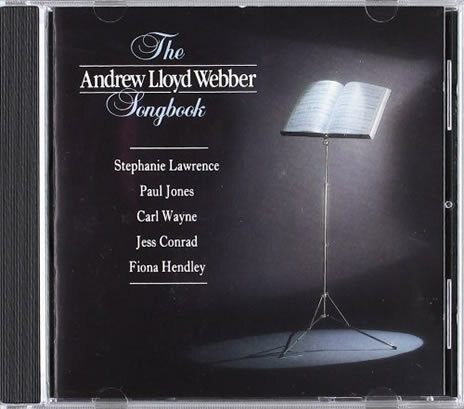 This was sold at performances in theatre, cabaret etc. 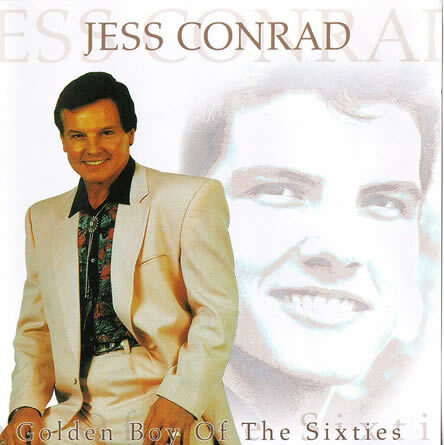 and titled "A SOUVENIR OF AN EVENING SPENT WITH JESS CONRAD" SRTS/CUS 046. 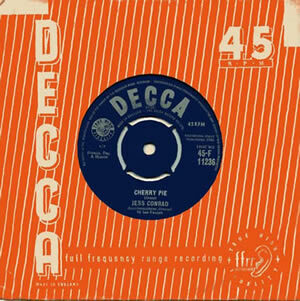 Tracks are: BE-BOP-A-LULA / FIRST THING MONDAY MORNING / WITHOUT A WORRY IN THE WORLD / DIZZY MISS LIZZIE / GIVE ME A STAR / CRYSTAL BALL DREAM. 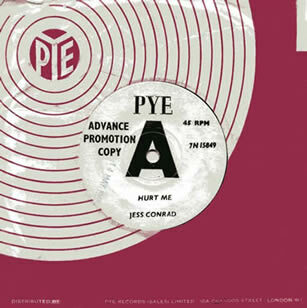 Issued in a picture cover E.P sleeve.